This product replaces the older Touch Dynamic Breeze. 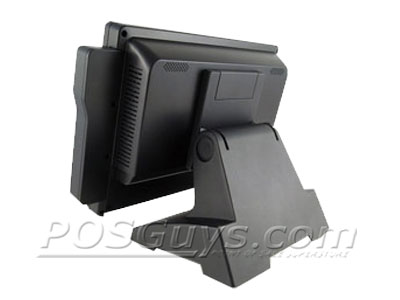 The Touch Dynamic Breeze Performance POS computer provides the powerful hardware necessary to run the most demanding software platforms on the market. A combination of high-performance hardware, advanced touchscreen technology, and optional add-on accessories makes the Breeze Performance a great choice for retailers and restaurants wanting to future-proof their business. Powered by up to an Intel i7 processor, the Breeze Performance runs virtually any application with ease. The Breeze ships with 2 GB of RAM but supports up to 16 GB, ensuring software opens quickly and runs smoothly. Employees will find the 15" touchscreen crisp and clear, while the Elo resistive touch technology makes order entry a snap. Optional models support projected capacitive touch technology, providing additional accuracy and eliminating accidental bumps causing software interactions. Additional peripherals allow for greater functionality from the Breeze Performance while maintaining its small footprint. A side-mounted card reader, available with optional fingerprint reader, makes taking card payments and authenticating employee access easier than ever. 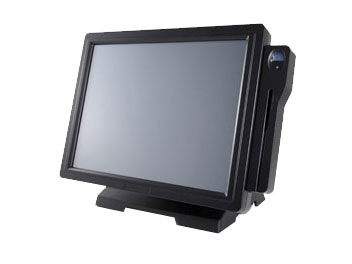 For customer-facing services, Touch Dynamic offers a rear-mount 2-line customer display as well as LCD displays in various sizes. Find it faster! Click here to compare Breeze Performance models by feature.